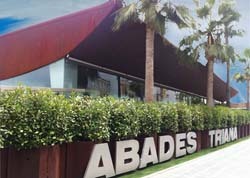 Abades Triana is the name of an exclusive and prestigious restaurant in the middle of the city of Sevilla in Southern Spain. This modern and funky restaurant is famous for many things including its excellent location, modern architecture and delicious International and Mediterranean cuisine. 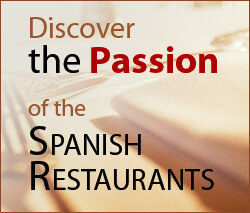 Situated in the historic Betis Street on the banks of the Guadalquivir River, this Spanish restaurant really stands out. The building is extremely modern, consisting in mostly glass, brick, concrete and industrial metals which contrast with the older, neighbouring buildings. The Abades Triana has therefore converted itself into a modern architectural landmark in a city full of historical Spanish buildings. The exterior of the building is in the shape of a large table with eight legs and a semi circular top. The legs or pillars are the only things that support the roof as the rest of the walls are made of glass so as to allow the diners to see out all around them, taking in the views that the city of Sevilla has to offer. Inside the building, the modern theme continues. The overall colour scheme is minimalist, consisting in whites, greys, silvers and blacks. To offset these severe colours, the restaurant contains many funky pieces of modern art including furniture, sculptures and vases. The main dining room is extremely large and is able to cater for around 400 people at once. The room is an exhibition of the art of light. There are many wonderful lamps in the room, all with very different designs. Furthermore, the large windows mean that the natural light from outside becomes part of the dining experience inside. The size of the Abades Triana restaurant in Sevilla means that it is the perfect place to hold large meetings, congresses and parties. However the restaurant also welcomes smaller groups who just want to experience some of the finest food when you visit Sevilla. If you wanted even more exclusivity at this most prestigious restaurant, you could have your meal in 'The Cube'. 'The Cube' is a small private dining room, separate from the main hall. This is yet another piece of interesting architecture as both the large floor to ceiling windows and the lack of visible structural supports mean that this room appears as though it is floating. The highlight of this room at the Abades Triana restaurant is the floor which lights up at night. The menu at the Abades Triana restaurant is fantastically exclusive and contains a selection of some of the best dishes from the Mediterranean zone including dishes from France, Italy and, of course, Spain. 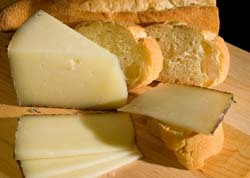 Some of the Spanish food that is on offer include the fine Spanish sheep's cheese, Manchego, 'Gazpachuelo de Remolacha' which is a thick gazpacho soup which is served with potatoes, peppers and eggs, and 'Solomillo de cerdo ibérico' (Iberian pork tenderloin) which is served with figs, apple toffee and a white wine sauce. You can instantly tell that this Spanish restaurant is one of the most prestigious in Sevilla - and one of the most expensive - when you find a whole section of the menu devoted to caviar. Other rare and delicious ingredients to be found on the menu include foie gras and champagne. The restaurant also offers a number of set menus for all occasions ranging from a menu aimed at businessmen and women, a Spanish tapas style menu, up to a tasting menu which allows you to sample the very best dishes that the Abades Triana has to offer. If you visit this Spanish restaurant in Sevilla, be sure to check out the first page of the menu which includes a long poetic quote from Baltasar de Alcázar's 'Una cena' (A meal). If you are not to busy eating the delicious food you could try reading this poem - a perfect opportunity to learn Spanish in Sevilla.